According to WikiLeaks, Julian Assange will be expelled from the Ecuadorian embassy in London within “hours to days.” Earlier today, WikiLeaks announced via Twitter: “A high level source within the Ecuadorian state has told WikiLeaks that Julian Assange will be expelled within "hours to days" using the #INAPapers offshore scandal as a pretext--and that it already has an agreement with the UK for his arrest.” Ruptly has also related that WikiLeaks reports it has secondary confirmation regarding Assange expulsion from another "high level source." "This man is a son, a father, a brother. He has won dozens of journalism awards. He's been nominated for the Nobel Peace Prize every year since 2010. Powerful actors, including CIA, are engaged in a sophisticated effort to dehumanise, delegitimize and imprison him. #ProtectJulian"
It is also worth noting that the so-called “Protocol” forced on Assange without his consent has no legal legitimacy whatsoever, and never applied to the WikiLeaks Twitter account, which Assange has not been able to access for over a year. This is thanks to Lenin Moreno’s unilateral decision to sever Assange's connection with the outside world, including internet access. Nonetheless, Moreno centers his accusations on the WikiLeaks’ Twitter account, for merely observing the unfolding INA Papers scandal. The reality of Assange’s isolation also renders allegations that he “hacked” documents relating to Moreno, for which there is no evidence whatsoever, totally impossible. As the decision-maker who ordered the muzzling of Assange, Moreno knows better than anyone that his allegations have no basis in fact. Additionally, the imposition of the “protocol” against Assange since 2018 has manifested as an ever-shifting set of goal-posts, as seen in the documentation of Assange’s living conditions by Cassandra Fairbanks, following her recent visit to the Ecuadorian embassy. Fairbanks described Assange and his lawyer being ordered to submit to full-body scans and searches simply in order to be allowed to speak with a journalist. 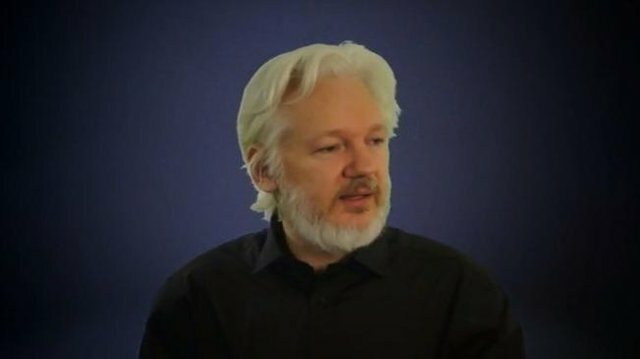 Fairbanks quoted Assange protesting his treatment, accusing the Ecuadorian ambassador of acting as an agent of the US government. The inevitable US prosecution of Assange following his expulsion from the embassy will likely focus on WikiLeaks’ publication of Manning-era documents. The recent imprisonment of Chelsea Manning for her refusal to cooperate with a secret grand jury convened to prosecute Assange and WikiLeaks corroborates this conclusion. This point is crucial to understand, as it defines the prosecution of Assange as retaliation for his groundbreaking documentation of war crimes, and not the events of 2016. "The fundamental question is, should a journalist or publisher be locked up for life for publishing leaked documents showing war crimes? If the answer is yes, where is press freedom?" If legacy news outlets cared about their ability to operate as anything other than mouthpieces of intelligence agencies and massive corporations, they would be raising almighty hell against the persecution of the greatest among them. Instead, we have witnessed legacy press wage a propaganda war against Assange, vilifying him based on utterly fake news. We are watching the unfolding death of the concept of journalism, of Ecuador’s sovereignty, and the public’s hope for transparency. Assange and WikiLeaks are standing before the US and UK military power structures for the sake of all of us, and especially those who consider themselves journalists. Unfortunately, those who have done the most to injure WikiLeaks amongst the press, are also the very people who have gained the most from Assange’s sacrifices. The word “journalist” no longer seems to apply to the establishment media. Instead, it is a class of talking heads, mute on this issue, revealing themselves in their silence as nothing other than sycophants baying at the knees of plutocrats. Pulitzer-Prize-winning journalist Chris Hedges allegorized Assange’s treatment, comparing it with the crucifixion of Christ. To extend that metaphor, Lenin Moreno can be likened to Judas Iscariot, selling Assange for 30 pieces of silver - or debt relief. There seems to be no way to fully encapsulate the depth of betrayal of the global public that Assange’s arrest would represent. 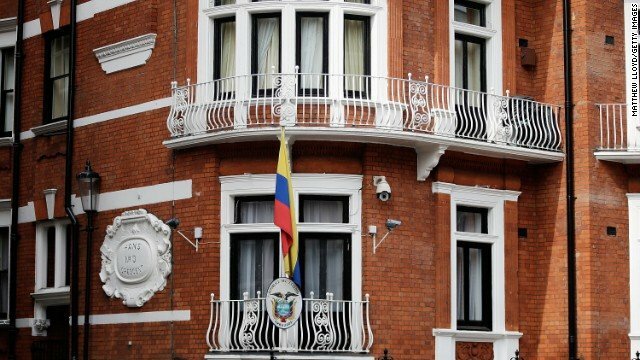 No words can fully communicate the intentional reversals of truth used to tarnish Assange’s reputation in the public arena from 2010 to the latest gas-lighting attempts by Lenin Moreno’s government and Ecuador’s state-backed media. If Assange is successfully extradited and prosecuted, it will also mean that the US is willing to prosecute any journalist across the world who comments on international affairs, and yet, those who are not citizens of the United States will not be granted protections under the first amendment. No matter your political persuasion, or your views on the events of 2016, If you value the right of the public to empower itself via truth and transparency, I implore you to raise your voice on behalf of Julian Assange and WikiLeaks, in the place of a mute legacy press. Do not allow Assange to go the way of the countless victims of the American deep state and its vengeance against truth-tellers. If we do not have a free press, we are no longer a free people. Supporters are encouraged to gather in solidarity with Assange at the Ecuadorian Embassy in London and number 3, Hans Crescent, near the Knightsbridge Railway Station. Those who cannot travel to the embassy are encouraged to raise hell and their voices via every avenue of expression possible, using hashtags including but not limited to #ProtectJulian. WE NEED PEOPLE IN THE STREETS! Crazy how for spreading the truth he gets treated like this, but this is the world that we live in. Speak up against government, the elite or the powerful people and they will try to shut you down. Where is the freedom of speech? It's so easy for the elites to give Assange or any independent journalist a bad name/reputation as they control the media and press and as most people believe what they see and read on TV/newspapers it's hard to change their opinion. The tale of corruption and manipulation of power in Assange's case is nerve shattering. It's indeed saddening to see the events playout this way. Even though the public's support lies with Assange, the influence of people in power reigns high.